A teacher, freelance writer and avid researcher in the field of disability studies, Patrick McDonagh is not sure what he considers his main gig. Patrick McDonagh, a part-time faculty member in the Department of English, is a frequent contributor to Concordia University Magazine. 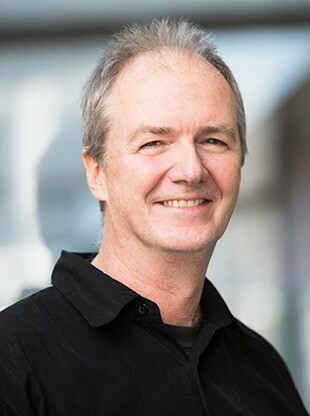 In 1998, McDonagh received a PhD in humanities at Concordia for his study of cultural representations of intellectual disability in 19th-century England. A decade later his book, Idiocy: A Cultural History (Liverpool University Press, 2008), was published to critical acclaim. “McDonagh has set a new standard in the history of intellectual disability,” wrote one reviewer from Truman State University. Currently McDonagh is co-editing a collection of essays on the history of ideas of intelligence and intellectual disability, slated for publication next year. The British Columbia native traces his interest in cultural representations of intellectual disability to a summer job he held as a university student working with autistic children. In 1987, before moving to Montreal to pursue his PhD, McDonagh turned his interest into action, co-founding a non-profit agency in Vancouver that provides support services for people with developmental disabilities, autism and acquired brain injuries. The Spectrum Society for Community Living is still active. While McDonagh is no longer involved in day-to-day operations, he remains on its board of directors. When he first arrived at Concordia as a PhD student, McDonagh immediately sought out work on campus to support himself. With no teaching assistant positions available at that time in his department, he took a job teaching technical writing to engineering students. After earning his PhD, he was offered a part-time position in the Department of English. The job often requires McDonagh to quickly get a handle on weighty texts included in the syllabus for a course he’s never taught before. Yet he enjoys the challenge, and the payoff is that he gets the chance to discuss great works of English literature with his students.